The classic horror movie icons of yore served as metaphors — fractured mirrors of what we could become if we let go of those virtues that make us inherently human. While The Hulk is definitely an imperfect hero made in the Marvel fashion, he probably has more in common with the likes of Frankenstein’s monster or The Wolfman. Al Ewing recognizes this and has made it a focal point of Immortal Hulk. Among Marvel’s “down-on-their-luck heroes,” Bruce Banner is probably the most unlucky. 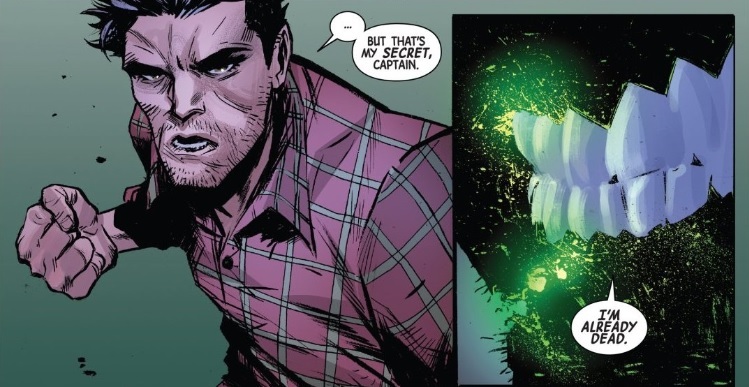 In The Immortal Hulk 6 Banner reminds us the desperation that Hulk’s destruction has driven him to. Living as a fugitive, he must steal clothes, food and money in order to survive. It’s hard enough being on the most wanted listed list, but the rest of the people on that list don’t leave such visible chaos in their wake. This is another example of Ewing marrying the concept of The Hulk with that of the horror movie monster. 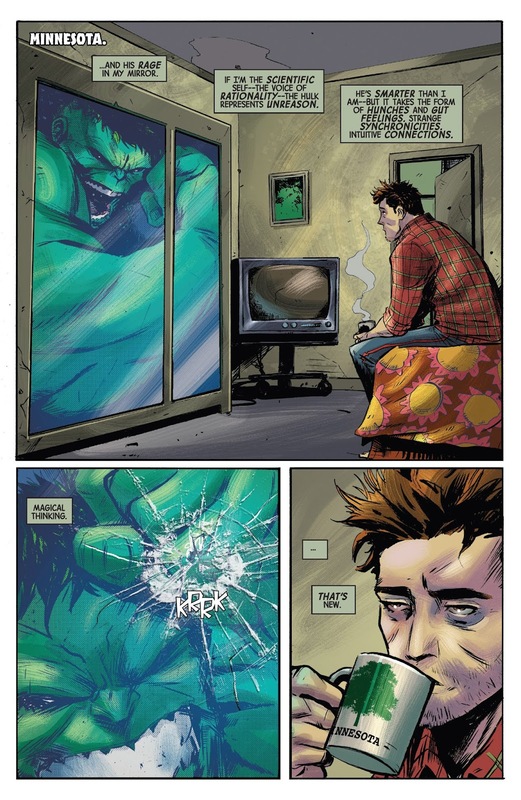 Hulk is Banner’s fractured mirror, an idea that Garbett manifests on the page. This is such a simple yet intelligent way to convey the rage that Banner keeps at bay inside himself. Hulk’s massive body compacted into a tight glass box as a great visual. 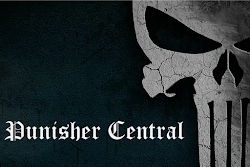 Banner mentions once or twice that he can be killed during the day, but as the title suggests, The Hulk is immortal. The idea that Banner/Hulk’s rage is so damn strong that it refuses to let him die is a powerful concept. Ewing’s The Immortal Hulk has made The Hulk more interesting and complex than I ever imagined the character could be.